VINTON, Va. - A house fire in Vinton began Wednesday afternoon because of improperly discarded smoking materials, according to the fire marshal's office. 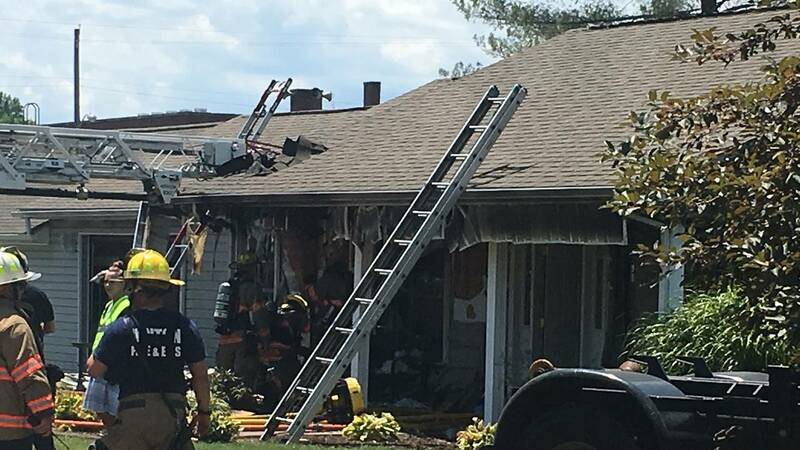 Crews arrived at a home in the 100 block of North Poplar Street at about 1 p.m. where they found heavy smoke and flames showing from the front side of the single-story home, according to Brian Clingenpeel with the Roanoke County Fire & Rescue Department. The only person home at the time of the fire, a juvenile, safely escaped, along with three dogs that were also inside the home. The two adults who also live in the home were not there at the time of the fire. Although the fire, which crews marked under control in about 30 minutes, was contained to the front of the house and the attic, there is smoke and water damage to the rest of the house. While the family cannot stay in their home they will be staying locally, according to Clingenpeel. Estimated damage to the home is $60,000. The Fire Department said that there were working smoke alarms present in the home. Crews from Vinton, Mount Pleasant, Cave Spring, and the City of Roanoke responded to the fire.